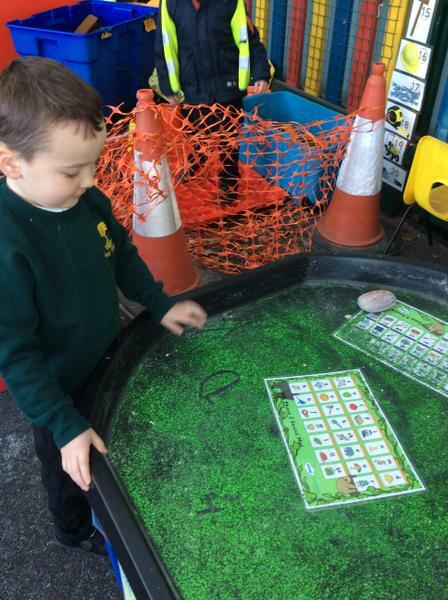 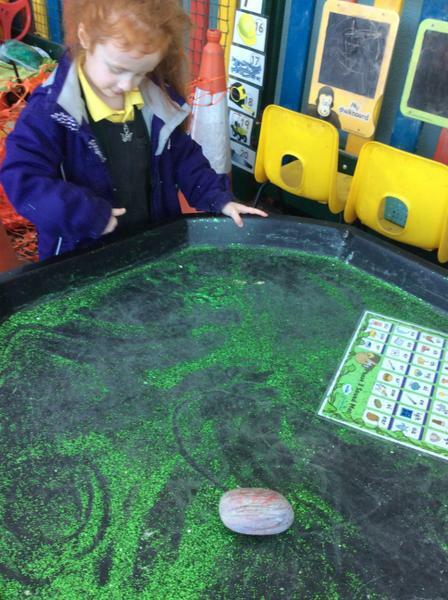 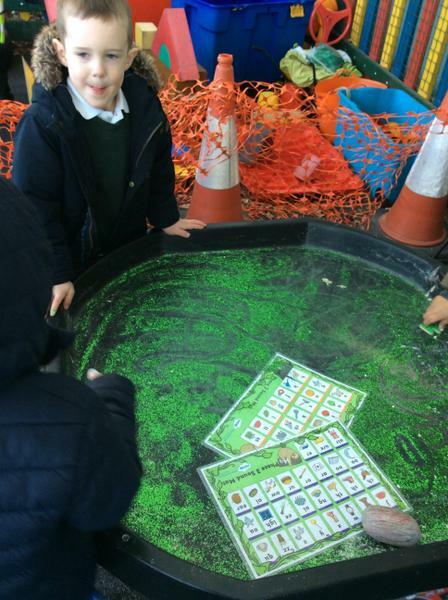 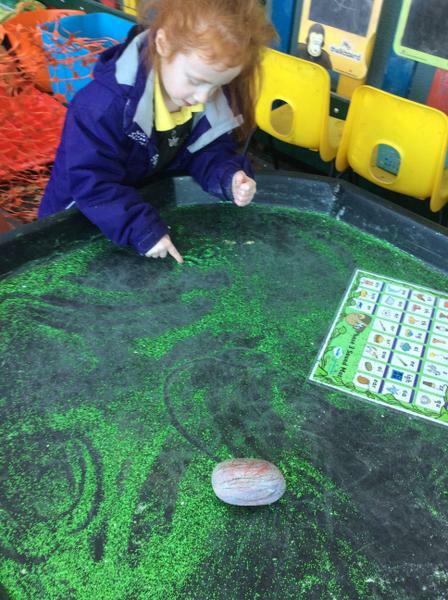 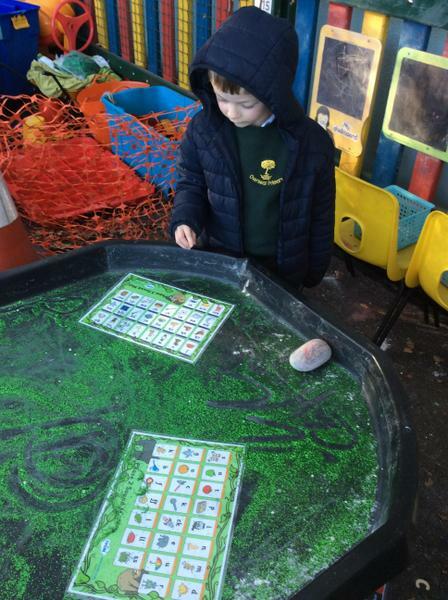 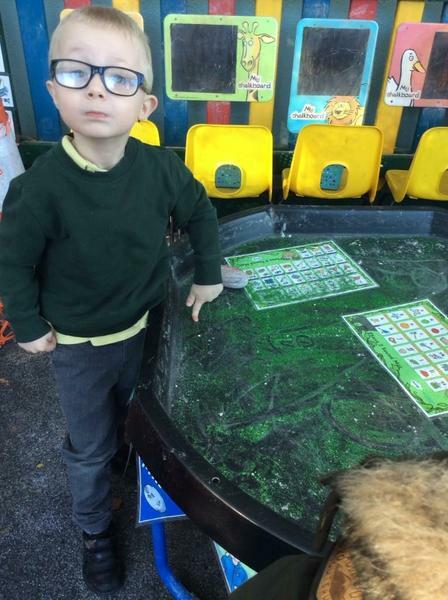 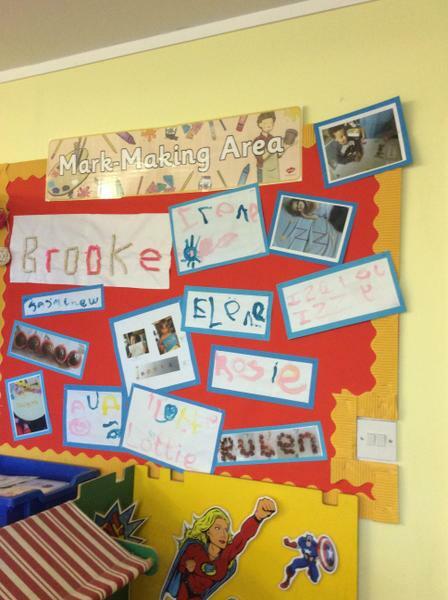 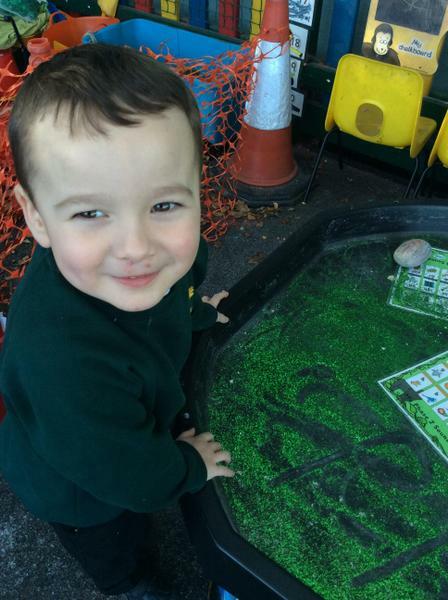 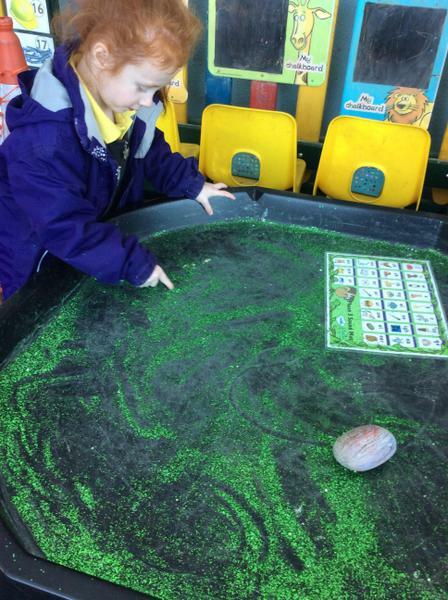 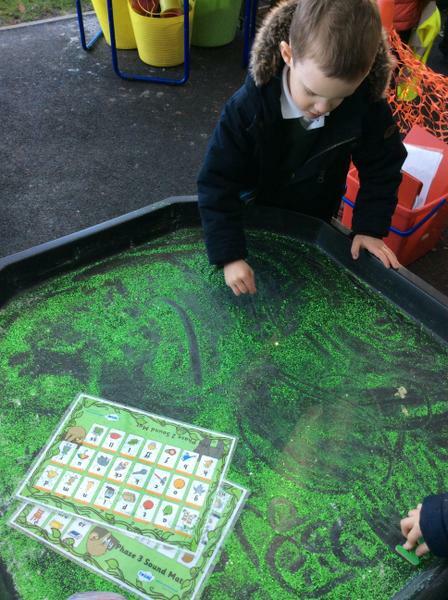 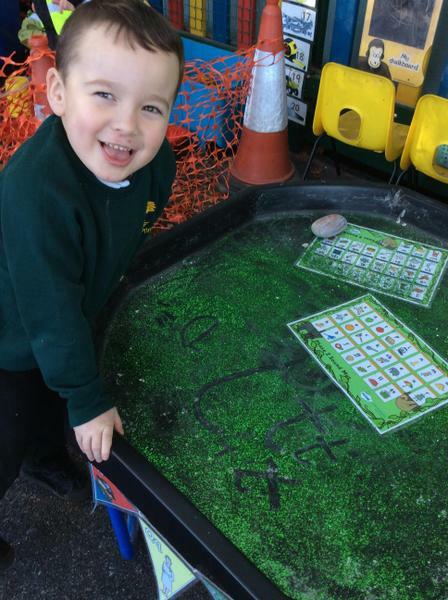 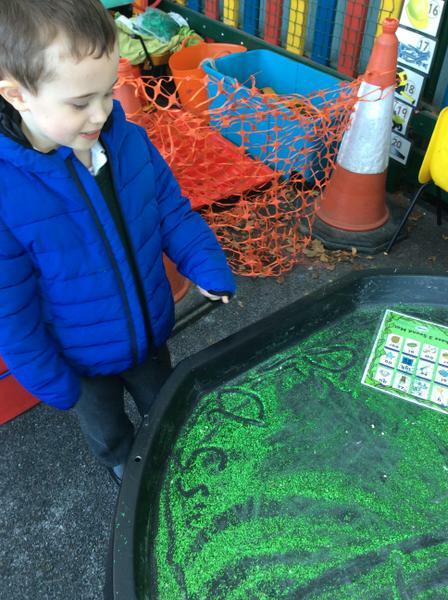 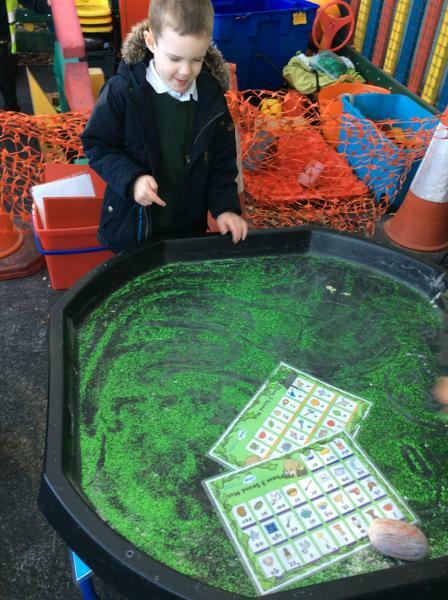 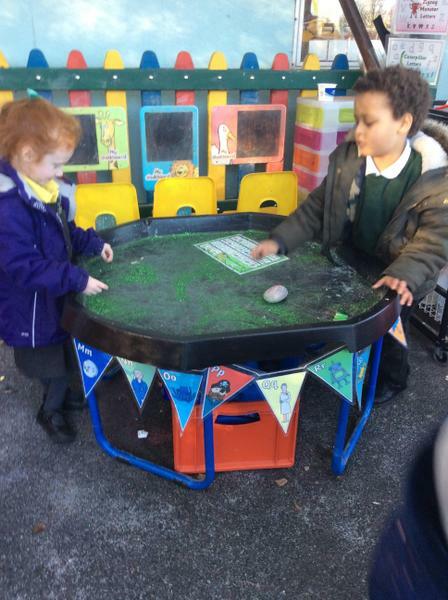 In EYFS we practice our mark making indoors and outdoors every day. 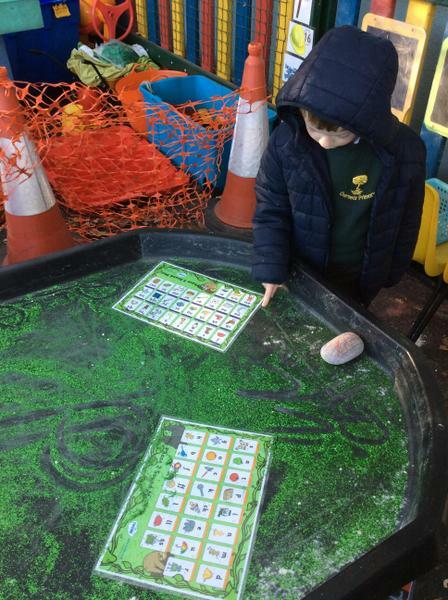 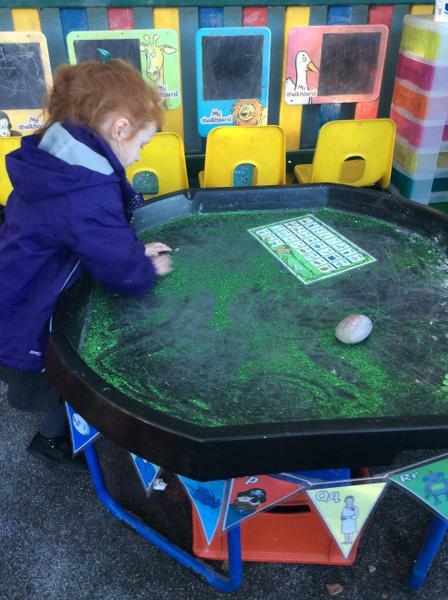 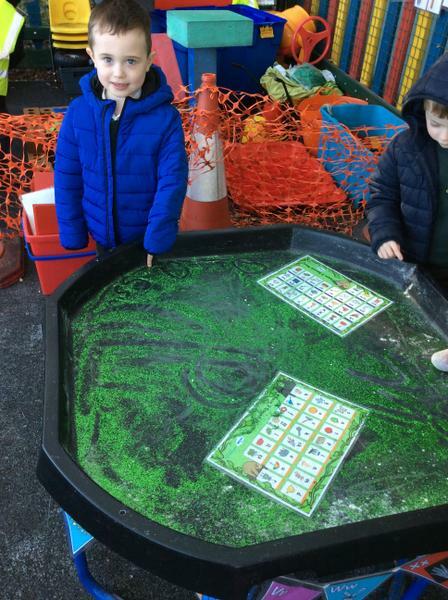 We think of which family letters belong to,to help us think about where to begin different letters.We regularly write letter shapes in sand, glitter, shaving foam and flour. 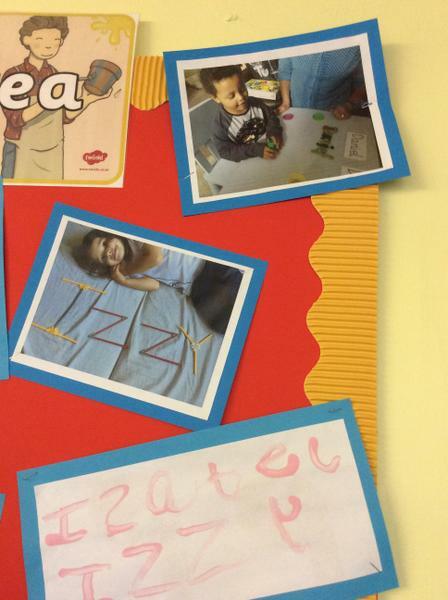 Then we transfer our skills to writing with pens and pencils. 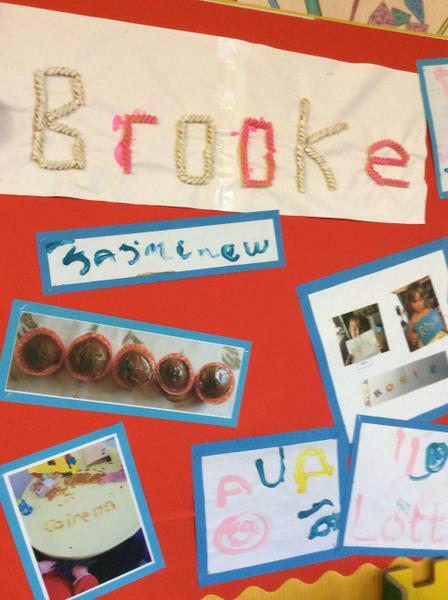 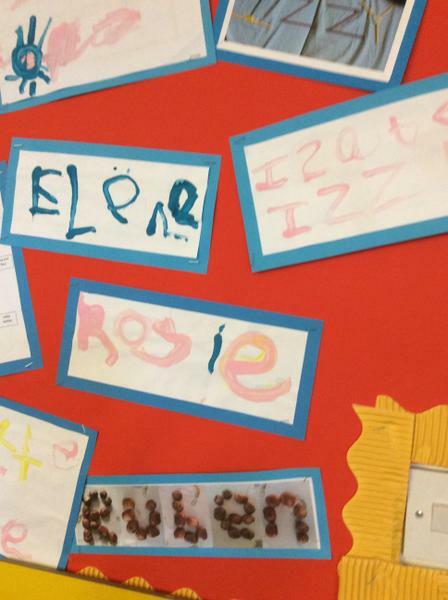 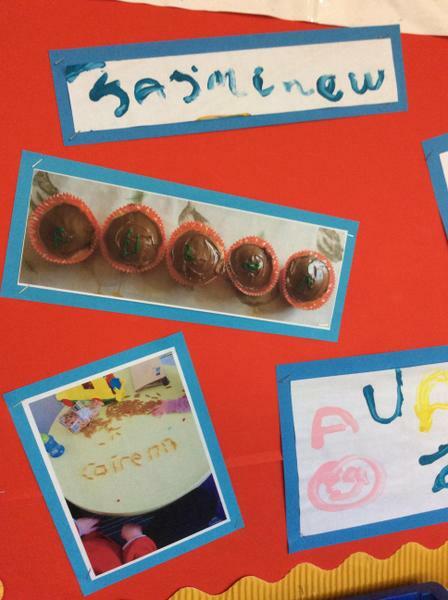 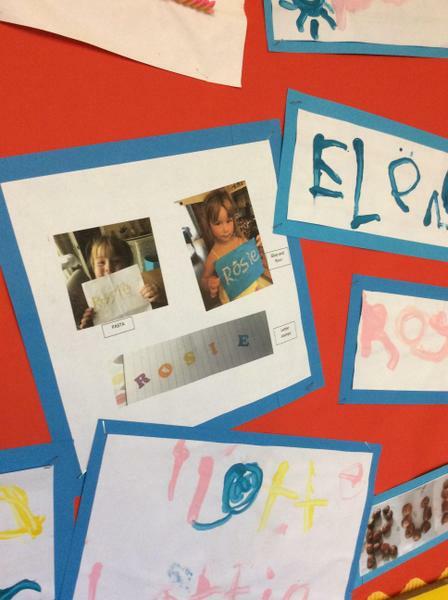 We made our names in many creative ways in school and at home. 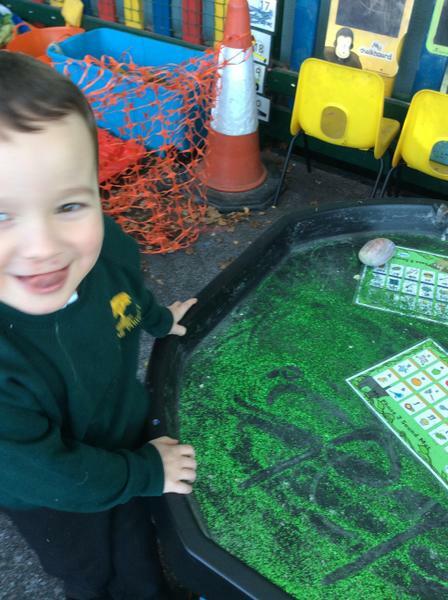 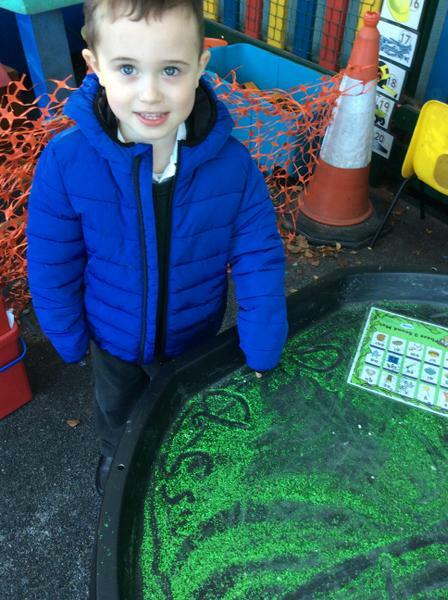 We practised making recognisable letters in green, jungle glitter outside.